Congratulations! You have a dream for your retirement, you know where you are financially and you have a financial plan to reach your retirement goals. 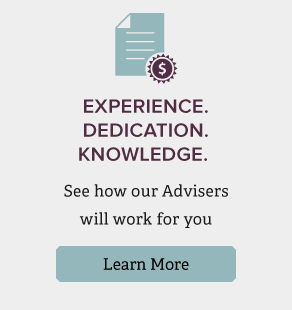 Your hard work is done, but at Advance Capital Management, we’re just getting started. From this moment on, we’ll monitor your financial progress and keep a close eye on your portfolio’s performance. You can sit back and relax because we’re here to watch over your financial plan throughout your retirement years. During this phase, we’ll meet with you on a regular basis to discuss any new life events or changes to your goals. We’ll also assess your asset allocation and rebalance your portfolio as needed. Between meetings, the Advance Capital Management team continuously monitors your investment performance and makes adjustments as needed to help keep your plan on track. The time you spent earlier in the process defining your long term financial goals continues to drive the decisions made during the monitoring phase. Adjustments are made that align with your risk tolerance. We’ll also walk alongside you to help you make disciplined allocation decisions during market fluctuations. We understand the anxieties that come with a sudden downturn and we have the experience to expertly guide you through your decision-making efforts. With Advance Capital Management monitoring your financial health, you can enter retirement with confidence. You’ll start receiving retirement income that’s designed to sustain your lifestyle and achieve your dreams. Find out more about what happens with your money during retirement.